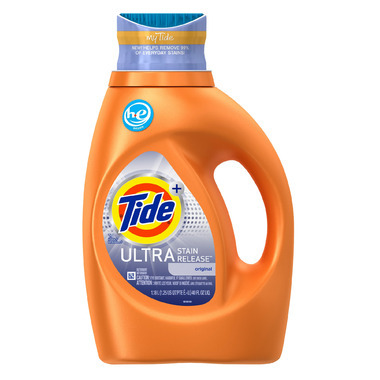 Tide Plus Ultra Stain Release delivers superior stain fighting* and is supercharged with specially-formulated ingredients to help remove up to 99% of everyday stains, including greasy food related stains! It also boasts Zap! Cap, a unique pretreat cap with scrubbing bristles that provide a deep-down pre-treat option. As part of the Tide Plus Collection, Tide Plus Ultra Stain Release gives you the amazing Tide clean you expect plus more of what you love! Amazing product. I will continue to buy it time and Tim again. It really does leave clothes like new! Works great, smells great, and as an added bonus it has a scrubbing cap that helps get rid of hard stains.